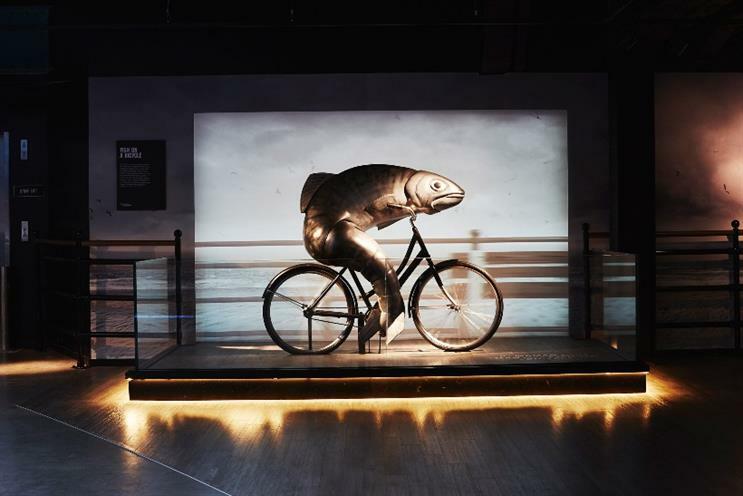 Guinness has brought some of its most famous ad campaigns to life, constructing a 3D animatronic fish and a life-sized ostrich at the Guinness Storehouse. The installations are part of a wider exhibition at the Dublin tourist attraction, which includes interpretations of John Gilroy’s classic poster art for the brand as well as TV campaigns. The two-metre tall fish represents Guinness’ 1996 "fish on a bicycle" ad while the ostrich refers to an illustrated poster by Gilroy. Other Gilroy reimaginations include 3D flying toucans and a seal balancing a pint of the drink on its nose. Guinness pays homage to its 1998 surfer TV ad with 20 ticking clocks hanging from the ceiling, in reference to the phrase "tick follows tock".